Puerto Rico regulators on Friday issued final microgrid rules to help boost development, as the island continues to struggle to recover from last September’s island-wide power outage following Hurricane Maria. The rules (CEPR-MI-2018-0001) arrived in a speedier fashion than the norm for energy regulation, with just five months between draft and finalization by the Puerto Rico Energy Commission (PREC). Puerto Rico, a U.S. territory, is now ahead of most of the states in terms of presenting clear guideposts for the growing microgrid industry. It is also more desperate. On April 18 the central grid went down once again, plunging the entire island – about 3 million people — into darkness. 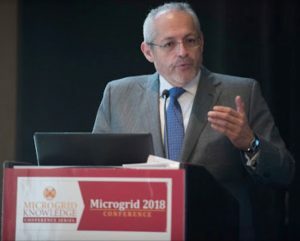 “The grid is not stable,” said Fidel Marquez, Commonwealth Edison’s senior vice president of governmental and external affairs and chief governmental and community relations officer, speaking earlier this month at Microgrid 2018 in Chicago. Marquez serves on the Transformational Advisory Council, tasked with advising the island’s utility board on modernizing its grid. Marquez said that that on the mainland such widespread outages usually occur as a result of multiple “events,” but in this case it took just one — a truck severed a main utility line. Pockets of microgrids kept power flowing to some homes and businesses. But the microgrids are still far too few. Many have been installed as temporary fixes until the central grid is restored. Humanitarian workers, non-profits and private companies have cited the need for regulatory clarity and planning to build out a robust network of permanent microgrids. Tanuj Deora, executive vice president and chief content officer of the Smart Electric Power Alliance (SEPA), praised PREC’s work on the final rules, saying they address short-term needs, while providing “the type of guidance needed to set the groundwork for Puerto Rico to become a model of sustainability.” SEPA has been working on Puerto Rico’s restoration as part of the Build Back Better program. The new rules establish classes of microgrids, define types of generation they can use, and clarify the role of utilities and municipalities. Jared Leader, SEPA senior associate for utility strategy, issued a brief Friday describing the three classes of microgrids that can be developed under the rules. Cooperative microgrids, which will serve three or more cooperative members, under two subcategories, small co-op microgrids of less than 250 kW or large co-op microgrids of more than 250 kW. Like personal microgrids, co-op microgrids can sell excess energy and services to others. Third-party microgrids, which have owners or operators who sell energy services to customers under rates approved by PREC and set on a project-by-project basis. Owners can earn a reasonable rate of return for the first three years of operation. The rules define ‘renewable microgrids’ as those that can generate 75 percent of their energy from renewables — solar, wind, geothermal, hydropower or biomass – and 25 percent from fossil fuels. A combined heat and power (CHP) microgrid must produce at least half of its total energy from the useful thermal energy captured from the plant. A hybrid microgrid may incorporate CHP and renewable systems, but the non-CHP system must generate 75 percent of its energy from renewables. Municipalities may enter into contracts with a third-party provider to develop microgrids — or they may develop them on their own. PREC also allowed the island utility to develop microgrids, under the new rules. The new rules come as Puerto Rico nervously eyes the start of the next hurricane season, which begins June 1. Pockets of the island still remain without power. It’s been particularly difficult to restore within rugged mountain terrain. 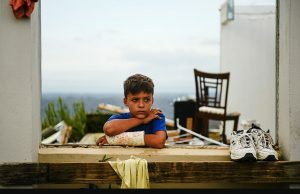 The full human cost of the Hurricane Maria power outage – the second longest on record – has yet to be tallied, according to William Heegaard, Founder of Footprint, which has been assisting in bringing solar plus storage microgrids to the island as part of a humanitarian effort. At the same time, Heegaard said he was encouraged by the ingenuity shown by Puerto Ricans. Their resourcefulness, combined with advancements that make simple microgrid installations easy to do, bode well for the island, he said. Share your thoughts about Puerto Rico’s final microgrid rules. 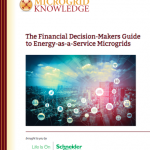 Join our LinkedIn group, Microgrid Knowledge. 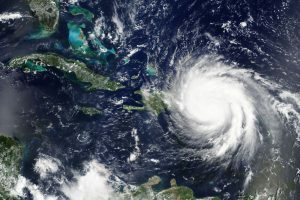 Will LNG Microgrids Find a Ready Market in Puerto Rico? @Elisa Wood “new rules establish classes of microgrids” suggest to consider investigating the lifecycle since there has been no discussion on mitigating damage wind-driven projectiles. Micro grids are inevitable with aging main power plants and transmission. They have become the dinosaurs of power generation. Stop using “american citizens” in order to assign us worth, please. Thank you for your work and good intentions but this is a colonial relationship more than a century in the making… It IS political (and colonizing) to continue to use that reference. We are human beings. We are colonized human beings. And that includes our energy debacle, where you’ll likely see “american” companies (“green” and gas) extracting our money and resources, as always. That’s what we’re worth. Has anyone seen any news regarding whether the interconnection rules have been established? I believe 120 passed at the end of October. Would love to hear any update on this.